Nathanael Greene appears on a stamp with George Washington; both are also honored in the National Statuary Hall collection. 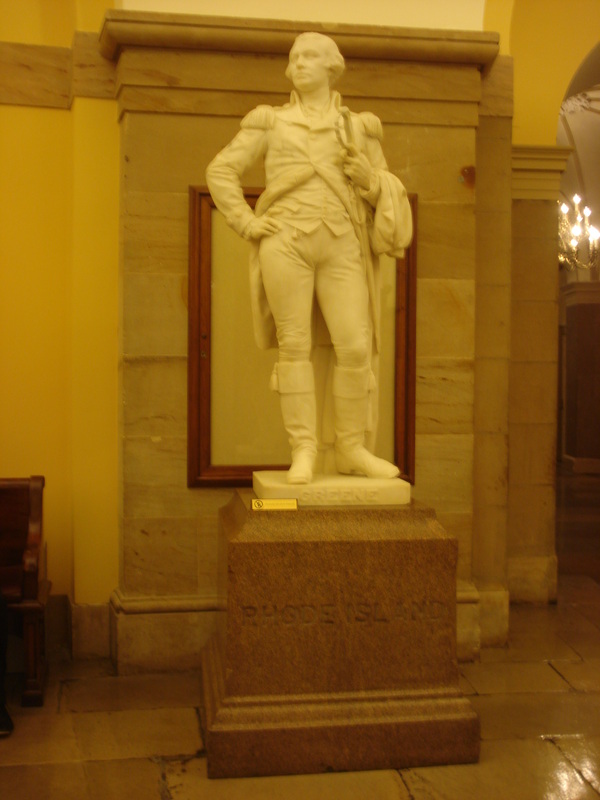 Greene’s statue is one of Rhode Island’s contributions and can be found in the Crypt. Fun fact: the Crypt is so called because Congress intended to bury Washington there, but Washington is actually buried at Mount Vernon per his family’s wishes. No one is actually buried in the Crypt. This entry was posted in Capitol Visitor Center, National Postal Museum, Stamptuary Hall and tagged Capitol Visitor Center, DC, National Postal Museum, Stamptuary Hall. Bookmark the permalink.